Kolkata was burning like hell few days back, but now it is raining and the temperature has come down. Phew! Summer takes so much away from us and gives us back dull skin, patchiness, pigmentation, tanning etc. Huh.. :-/ I have a love and hate relationship with Summer. 😀 Love to dress and hate to sweat. 😛 😀 Lotus Herbals is a company that brings out sun blocks with higher SPF content every summer. 😀 This time we got to see SPF 100+. Personally I love my SPF 40 3-IN-1 matte Sun Block. It my HG and I swear by it. I am using it religiously for the last 2 years. I never would have got to try this ever if I wouldn’t have won it in a contest held in Lotus Herbals FB Page. O:) 😀 See how it proves to it claims. SAFE SUN ANTI-AGEING ANTI TAN ULTRA SUN BLOCK SPF 100+ is a revolutionary, preservative free sun block that offers the highest protection against UVA and UVB rays. It blocks all damaging effects of UV rays to skin, shields collagen to reduce the chances of premature ageing and delays skin tanning process. • SOY PROTEIN – It increases the elasticity and thickness of your skin, as it stimulates collagen and helps slow the early onset of wrinkles. • THYME – It is a great antioxidant and helps to improve skin tone and providing good astringent qualities. It is also a powerful anti-fungal and antiviral agent. • LICORICE– It helps in treating stretch marks, acne, brown spots, and freckles and gives whitening and lightening effect to the skin. To start with my experience, let me first tell you all that I have oily acne prone skin and I have been using this sun block religiously for 3 weeks now. The Sun Blocks comes in orange cardboard box with partial transparent front view. The box given has all the details about the product. The Sun Block bottle comes in a pump dispenser bottle which is made of plastic. It is very light in weight and equally travel friendly. The cap shuts properly and is sturdy. The pump is convenient to use and dispenses the correct amount of product in a single pump. The textureof sun block is liquid-y but not of runny consistency. It’s a tinted moisturizer. 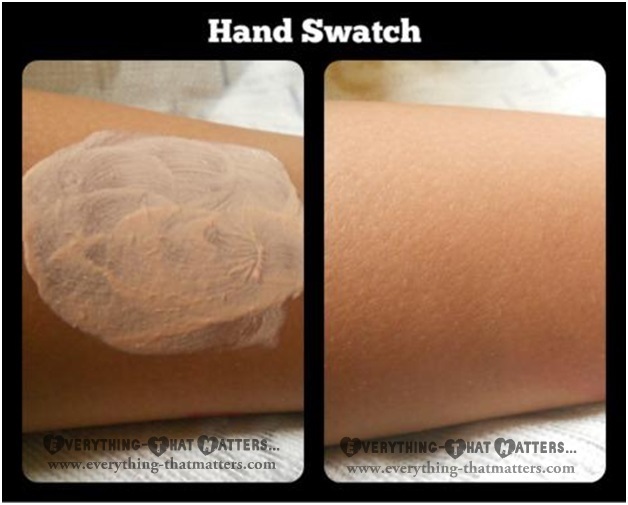 Being not thick in texture, blending is easy and does not leave white cast behind. I have used it on my arms, face and neck. I can’t comment about premature ageing because I have not attained that age to have ageing or any sorts of signs. It does a good job of moisturizing my skin. I always use compact on sun block. This sun block does help to keep oil on my T- Zone at bay but not for long. After 2-3 hrs it makes it oily especially my forehead and nose area. Kolkata is very hot during summers. It could be one of the reasons behind this. It didn’t break me out or gave any sort of allergy. Most importantly my skin did not get a tan. So it does give protection very well. For me it does not mattify my skin which SPF 40 is a pro at, though it evens out skin tone pretty well. The Fragrance is citrusy which lingers for a few seconds after application. Overall I am pretty happy with the results. A good sun block which does its job well but still I am more impressed with 3-IN-1 SPF 40 matte Sun Block and once I finish this, I will go back to my HG Sun Block. Does not mattify my skin so much. Do I Recommend:Give it a try if you want to try a sun block with higher SPF content. The price is way too much for me and I will not purchase this again as I love my HG Sun Block.